November 22, 2017 – Tommy Keene was born on June 30, 1958 in Evanston, Illinois and raised and graduated from Walter Johnson High School in Bethesda, Maryland (class of 1976), (which was also the alma mater of fellow musician Nils Lofgren). Keene played drums in one version of Lofgren’s early bands but moved to guitar later when he attended the University of Maryland. April 23, 2017 – Kerry Turman (long time bass player for the Temptations) was born in Detroit, Michigan on September 28, 1957. Kerry left Detroit, Michigan at the age of 19 to pursue his passion in music and further develop his “chops” in Los Angeles, California. 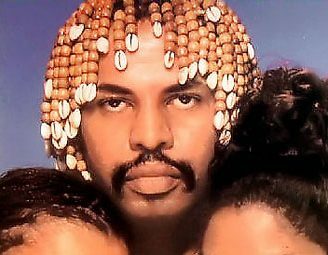 He cut his teeth as part of the killer band that Roy Ayers (King of Neo Soul) put together in the late 1970s. June 3, 2015 – Andrew Maurice Gold was born on August 2, 1951 at Burbank, Los Angeles, into a musical family. His father, Ernest Gold, composed the scores for dozens of Hollywood films, including Exodus (1960) — for which he won an Oscar — Too Much Too Soon (1958) and On The Beach (1959); his mother, the classically-trained soprano Marni Nixon, was best known for supplying the singing voices for film actresses, notably Deborah Kerr in The King And I (1956), Natalie Wood in West Side Story (1961), and Audrey Hepburn in My Fair Lady (1964). She also appeared as Sister Sophia in The Sound Of Music (1965). May 5, 2015 – Craig Gruber was born on June 15, 1951. In the early 1970s he started his bass career with a band called Elf, which released three albums before the key members joined ex-Deep Purple lead guitarist Ritchie Blackmore in his newly formed band Rainbow in mid-1975. Gruber played on Rainbow’s first album, Ritchie Blackmore’s Rainbow. Soon after the album was released, Blackmore fired everyone except vocalist Dio. Gruber was then in the early recording sessions on Black Sabbath‘s Heaven and Hell album, co-writing “Die Young,” until Geezer Butler heard Dio, and returned to the band. March 15, 2015 – Mike Porcaro (Toto) was born in Los Angeles on May 29, 1955 and was the middle brother of Jeff Porcaro and Steve Porcaro. Their father was jazz drummer-percussionist Joe Porcaro. 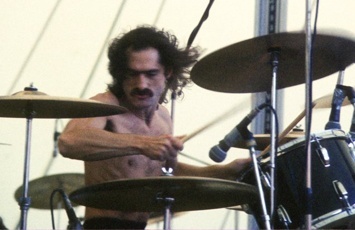 Porcaro worked as a session bass player before replacing Toto original bass player David Hungate in 1982 shortly after the band completed recording the award-winning Toto IV album. Porcaro played cello on a track for the album and subsequently appeared in the band’s videos and performed as a full band member on the world tour in support of the album. 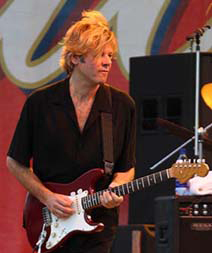 January 1, 2015 – Jeff Golub was born April 15th 1955 in Copley, Ohio. Golub started playing guitar, like so many, by emulating 1960s blues rock guitarists Eric Clapton, Jeff Beck and Jimi Hendrix. Then, following up on the artists that these musicians cited as their inspiration, he delved deeper into the blues listening to Muddy Waters, Buddy Guy, plus B.B., Albert, and Freddie King. He was in his teens when he first heard a Wes Montgomery record which set him on a whole new course of musical direction, which led him to study at Berklee College of Music in Boston. In a musical journey that spans more than three decades and encompasses a diverse assortment of projects from across the jazz, blues and rock spectrum, the visionary guitarist maintained the same honesty, enthusiasm and creativity that first won him his reputation as one of his era’s most skillful and original musicians. Whether it was his own inventive yet effortlessly accessible recordings or his collaborations with a dizzying array of artists, Golub’s work was consistently distinguished by the versatility and imagination that he brought to everything he did. 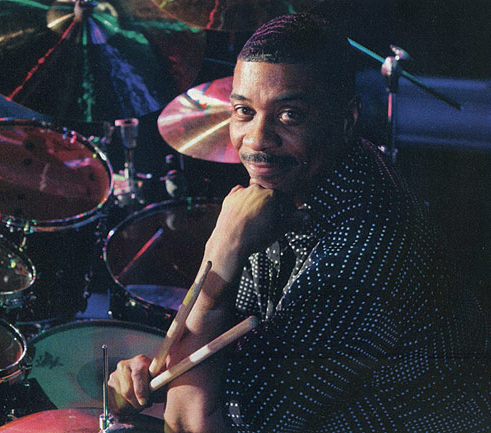 December 23, 2013 – Ricky Lawson was born on November 8, 1954. The Detroit native learned to play drums as a young teenager in Cooley High School. He would borrow his uncle’s drum set and carry it to his house across town via the Detroit bus system. He then played in the high school jazz band, which consisted of only five members, including the band director. Outside of the school jazz band he also played for The Sons of Soul, who performed at the 1969 Michigan State Fair, opening for The Jackson Five along with The Blazer, a band from Cooley High School in Detroit that included La Palabra. While in high school, he had a talent for such sports as water polo and swimming. His swimming talent eventually earned him a scholarship to college. He only spent one year at college though, being invited to play drums for Stevie Wonder and from there developing into one of the nation’s top studio musicians in the 1980s. April 23, 2013 – Robert Charles “Bob” Brozman was born to a Jewish family living on Long Island, New York, United States. He began playing the guitar when he was 6. April 11, 2013 – Don Blackman was born on September 1st 1953 in Jamaica, Queens, New York. A childhood neighbor was Charles McPherson, and while still a teenager (15) he played in McPherson’s ensemble with Sam Jones and Louis Hayes. At the beginning of the 1970s, he played electric piano with Parliament/Funkadelic, Earth, Wind and Fire, and Roy Ayers, before becoming a member of Lenny White’s group Twennynine, for whom he penned songs such as “Peanut Butter” and “Morning Sunrise”, key pieces in Jamaica Queens’ ’70s’ jazz-funk explosion. 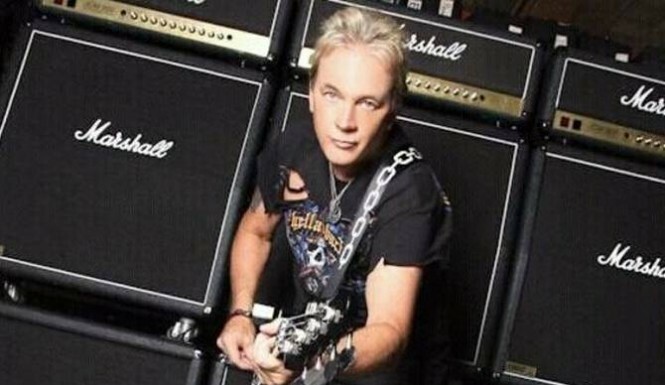 He released his self-titled debut solo album in 1982 on Arista Records, including the songs “Holding You, Loving You”, “Heart’s Desire” and “Since You’ve Been Away So Long” that became minor hits in Europe. March 22, 2009 – Reg Isidore was born on 4 April 1949 in Aruba, Netherlands Antilles. As is quite common in the Caribbean Islands, kids are sent abroad for their formal education, which is how Reg Isidore ended up in London. Reg’s musical career started with the 1960’s soul scene and included stints with The High Tensions, The Rick ‘ n’ Beckers, Peter Green and the late great Richard Wright (Pink Floyd). In the early days he also played with Peter Bardens (Camel) for many years, then managed by Legendary manager John Schatt, who was building up his worldwide company the Filmpow Group. As a musician however he was a rock drummer who became best known for his work with the Robin Trower Band. The band, consisting of Robin Trower (guitar), Jimmy Dewar (bass and vocals) and drummer Reg Isidore, formed in December of 1972 and played their first show in Vienna, Austria in February of 1973. April 15, 2008 – Cliff Davies was born in 1949 south of London, England. 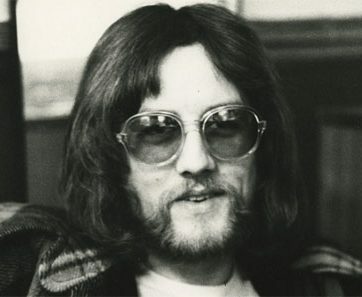 After receiving tuition from pipe band drummer Jock Cree, and playing local gigs in the Aldershot area (Home of the British Army to the south of London), in the early 70s, he went on to join the Roy Young Band, then the second incarnation of British jazz-rock band If from 1972 to 1975. 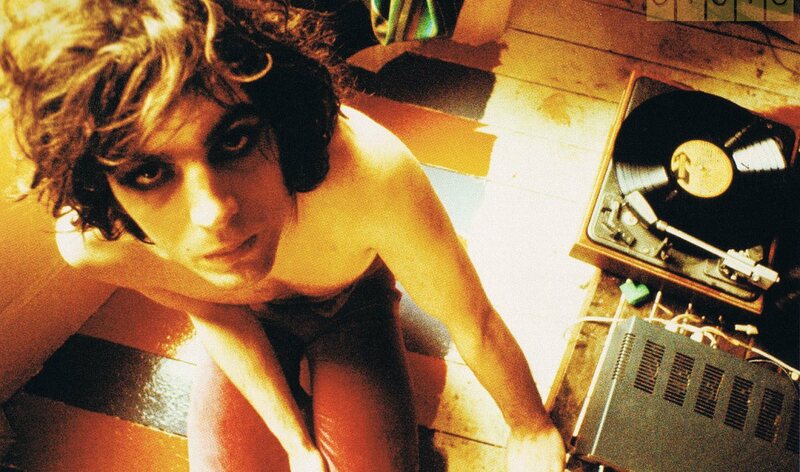 He played on four albums by the band and contributed songwriting to many of their songs. December 2, 2006 – Mariska Veres was born on October 1, 1947 in The Hague. Her father was the famous Hungarian Romani violinist Lajos Veres, and her mother, Maria Ender, was born in Germany of French and Russian parents. In the early childhood years Mariska often accompanied her father on the piano along with her elder sister Ilonka. She began her career as a singer in 1963 with the guitar band Les Mysteres. In 1965 she joined the Bumble Bees, the Blue Fighters, Danny and his Favourites, then General Four in 1966, and the Motowns later in 1966. In 1968 Mariska was invited to join Shocking Blue to replace singer Fred de Wilde who was called into the armed forces. July 6, 2006 – Roger ‘Syd’ Barrett (Pink Floyd) was born on January 6th 1946 in Cambridge, England. His parents were Dr. Max and Mrs. Win Barrett). Roger was the fourth of five children, the others being Alan, Don, Ruth and Rosemary. The young Roger was actively encouraged in his music and art by his parents – at the age of seven he won a piano duet competition with his sister – and he was to be successful in poetry contests while at high school. June 6, 2006 – William Everett “Billy” Preston (Beatles/Stones/etc.) was born on September 2, 1946 in Houston, Texas but raised mostly in Los Angeles, California. When he was three, the family moved to Los Angeles, where Preston began playing piano while sitting on his mother Robbie’s lap. Noted as a child prodigy, Preston was entirely self-taught and never had a music lesson. 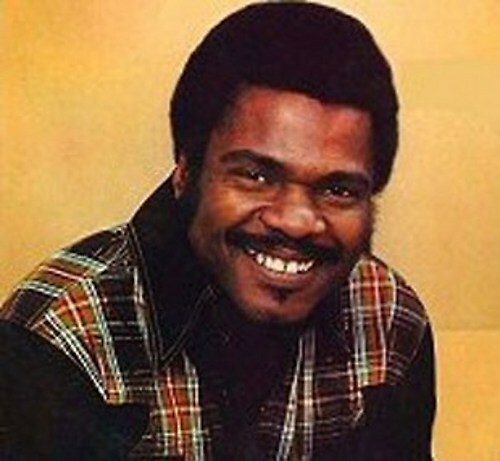 By the age of ten, Preston was playing organ onstage backing several gospel singers such as Mahalia Jackson, James Cleveland and Andraé Crouch. At age eleven, Preston appeared on Nat King Cole’s national TV show singing the Fats Domino hit, “Blueberry Hill” with Cole. Also at eleven, he appeared in the W.C. Handy biopic starring Nat King Cole: St. Louis Blues (1958), playing W.C. Handy at a younger age. April 10, 2003 – Little Eva Narcissus Boyd was born on June 29th 1943 in Belhaven, North Carolina, and moved to the Brighton Beach section of Brooklyn, New York at a young age. She worked as a maid and earned extra money as a babysitter for songwriters Carole King and Gerry Goffin. It is often claimed that Goffin and King were amused by Boyd’s particular dancing style, so they wrote “The Loco-Motion” for her and had her record it as a demo (the record was intended for Dee Dee Sharp). However, as King said in an interview with NPR and in her “One to One” concert video, they knew she could sing when they met her, and it would be just a matter of time before they would have her record songs they wrote, the most successful being “The Loco-Motion”. July 21, 2002 – Angus Boyd “Gus” Dudgeon was born on September 30th 1942 in Surrey, England, the bucolic county just south of London where he would return to live in the 1970s. His career began when he worked as a teaboy (now more commonly known as a ‘gofer’) at Olympic Studios — one of the premiere recording facilities in London. Within a short time, Gus advanced to a position of sound engineer and moved on to Decca Records’ studios at West Hampstead. There he got to work on sessions with artists signed to the record label, or hoping to be. His role on these dates would be to lay cable, plug things into things, and position microphones…all in support of the session producer. It was this training that Gus would use as a basis for his approach to production in the years to come. Jimmy Dewar (12 October 1942 – 16 May 2002) was a Scottish musician best known as the bassist and vocalist for Robin Trower and Stone the Crows, the latter having its beginnings as the resident band at Burns Howff in Glasgow. He was educated at St. Gerards Senior Secondary School in Glasgow. There was a strong Scottish music scene in Glasgow in the early 1960s, serving great talents to the burgeoning birth of rock and roll. Alex Harvey, Lulu, Maggie Bell, Frankie Miller, Jimmy Dewar and others. Strangely, Jimmy’s musical career was not to begin with his vocal talents, but as guitar player with Lulu and the Lovers in the early 60’s. Dewar had started out playing in a local band called the ‘Gleneagles’ in the early sixties but his career began with Lulu and the Luvvers in 1963. From there he joined a band called ‘Sock ‘Em JB’ which included the legendary Scottish rock vocalist Frankie Miller. In 1967 Jimmy joined a band called ‘Power’ with Maggie Bell, which later turned into ‘Stone The Crows’ with Jimmy and Maggie on vocal duty, managed by Peter Grant, who also toured the world with Led Zeppelin. Maggie Bell took him on board with the legendary “Stone the Crows” and the shy man’s voice was soon exposed on classics like “The touch of your loving hand”. Another young singer had exploded onto the music scene, but the best was yet to come. Living in London with his wife Martha and their young family, he was approached by Frankie Miller. The two Glasgow buddies were having a small refreshment when out of the blue Frankie told Jimmy that “there might be a job going” with some guitar player called Robin Trower, that the music industry insiders were raving about. “What kind of job?” asked Jimmy. Frankie laughed and said, “Oh, I don’t know. 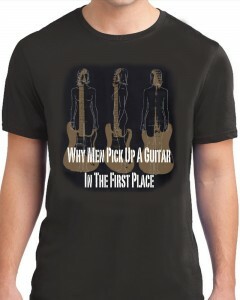 Maybe playing bass, maybe singing”. Jimmy applied and got both jobs. Dewars career reached its zenith with Robin Trower, the legendary British rock power trio, especially after the 1974 release of the album Bridge of Sighs, which put Trower in the global limelight as one of rock’s guitar legends, while Jimmy Dewar found recognition as one of the best white soul vocalists on the planet. Trower had joined Gary Brooker’s band Procol Harum following the global success of their debut single “A Whiter Shade of Pale” in 1967, remaining with them until 1971 and appearing on the group’s first five albums. But the fact that Procol Harum was heavily keyboard focused, made Trower committed to find that right combination of artists that would help inspire him to write and play to his potential as a guitarist. He tried with the band ‘Jude’ with Frankie Miller, ex-Jethro Tull drummer Clive Bunker and Jimmy Dewars on bass. This wasn’t working for anyone. The outfit did not record and Trower soon split, taking only Jimmy Dewar with him. The rest is history! Dewar made his mark as an acclaimed blue eyed soul singer, performing in front of sold-out stadiums and concert halls at the crest of the 1970s classic rock era. The Scot had a rich, powerful voice, with a soulful timbre, and has been regarded by critics as one of the most under-rated rock vocalists. His vocal sound was deep, gritty, and resonating, his style shows the influence of Ray Charles and Otis Redding. Like Paul Rodgers and Frankie Miller, his voice evoked a bluesy, soul-inspired sound. For a while The Robin Trower Band became the hottest thing on the planet and introduced “Stadium Rock” to the U.S.A. Frankie was right! The R.T.B. were the first band to sell tickets by the hundreds of thousands. Gold and Platinum albums were thrown at them like frizbees. Amongst James Dewars biggest fans were Frankie Miller, Billy Connolly, Donny Hathaway, Rod Stewart, not forgetting Maggie Bell and Lulu herself. It says it all. Everyone from Metallica to the Stereophonics were influenced by the voice of the Scotsman. Jimmy’s honeyed voice and effortlessly dead-on phrasing have received – all true – let’s not overlook that Jimmy’s voice was the soundtrack for the moment when countless people fell in love, much the way Elvis or Sinatra once were. Although it might make a few of us blush, I know I’m not the only person to have indelible, crystal-clear memories of making love while wrapped in the warming coccon of “Bluebird” and “For Earth Below” and “About To Begin” and “Little Girl”. And that’s not a nudge-of-the-elbow and a lascivious-wink type of comment but simply the highest praise I know to give an artist. Jimmy had a stroke in 1987 that left him needing constant care. He died 15 years later on May 16, 2002 of a stroke after years of disability resulting from a rare medical condition, CADASIL, which caused a series of strokes. Some day – maybe even right this moment – some kid who doesn’t know who the heck “Jimmy Dewar'” is, is going to plunk on a vintage Trower album on a whim, hear that voice riding atop Robin’s licks; vistas are going to open up wide and that kid’s world will never be the same again. This is the blessing inside the sadness – that every time that happens, Jimmy will be alive, strong and healthy. Widely-regarded as one of the most underrated rock vocalists, the late singer for The Robin Trower Band had a rich, soulful and resonating voice as can be heard on all tracks of the break through album “Bridge of Sighs”. and in my opinion one of the all time best rock albums.